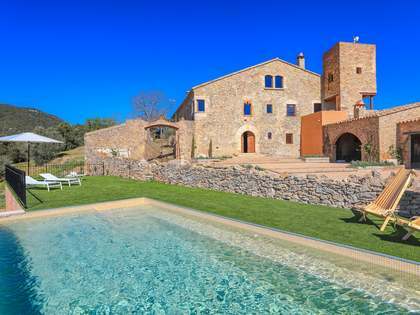 A unique opportunity to buy a high quality newly build traditional country house in the heart of the Empordà. 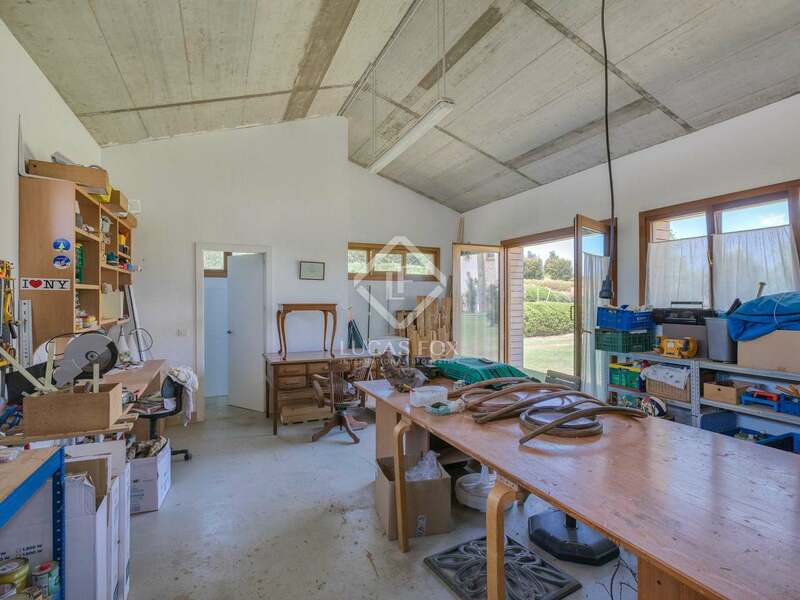 Complete with a 237 m² separate building that gives the property various possibilities. 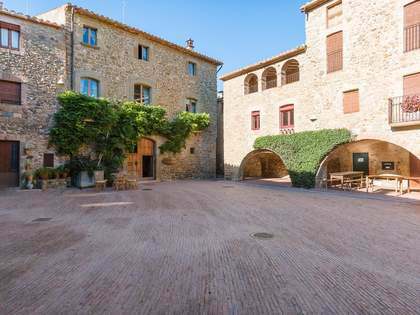 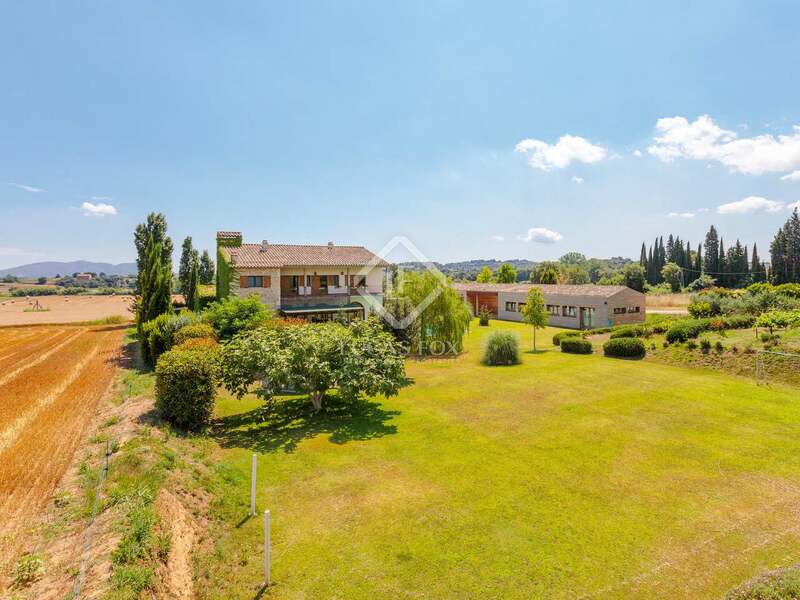 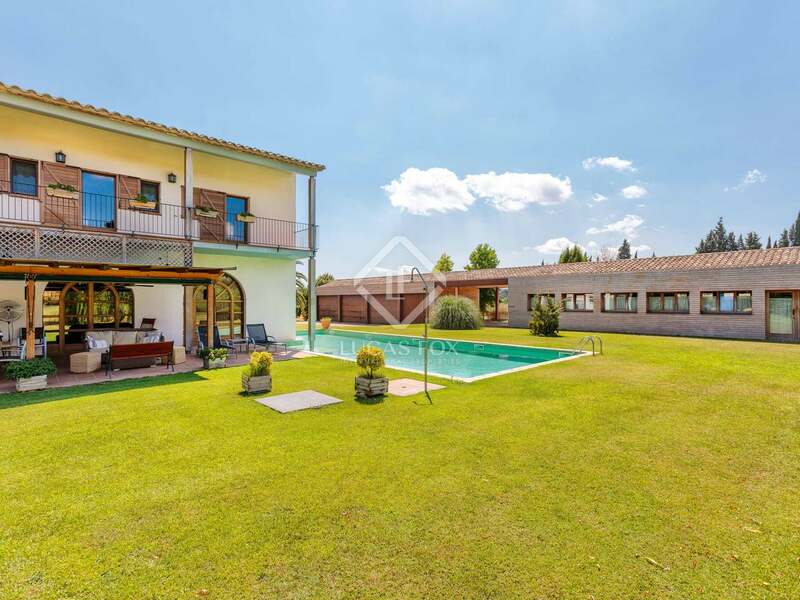 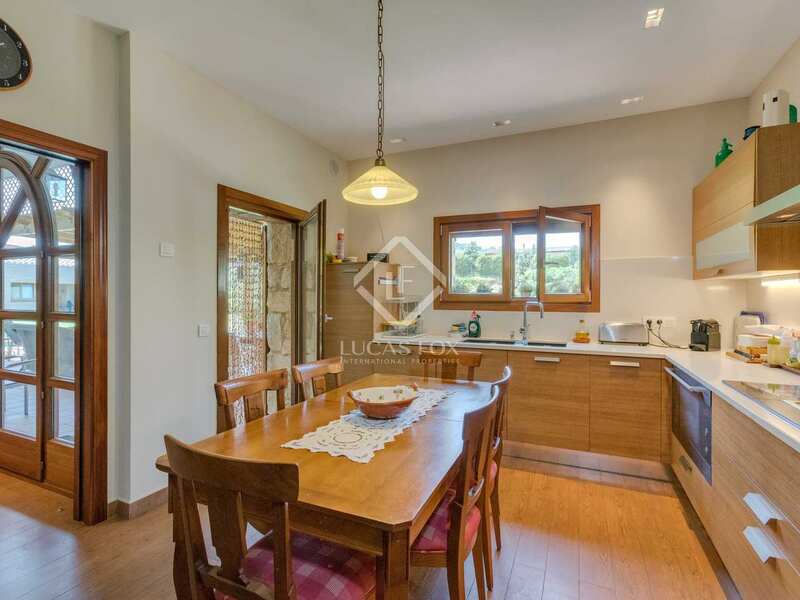 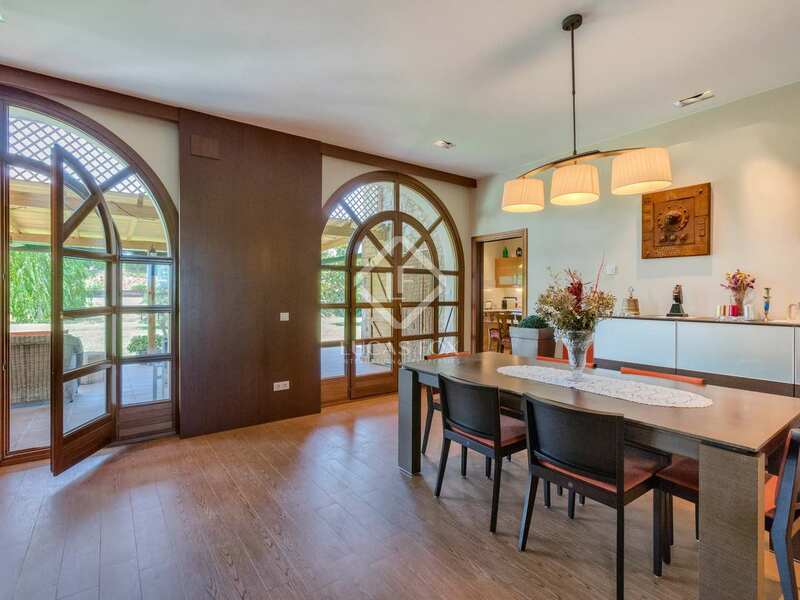 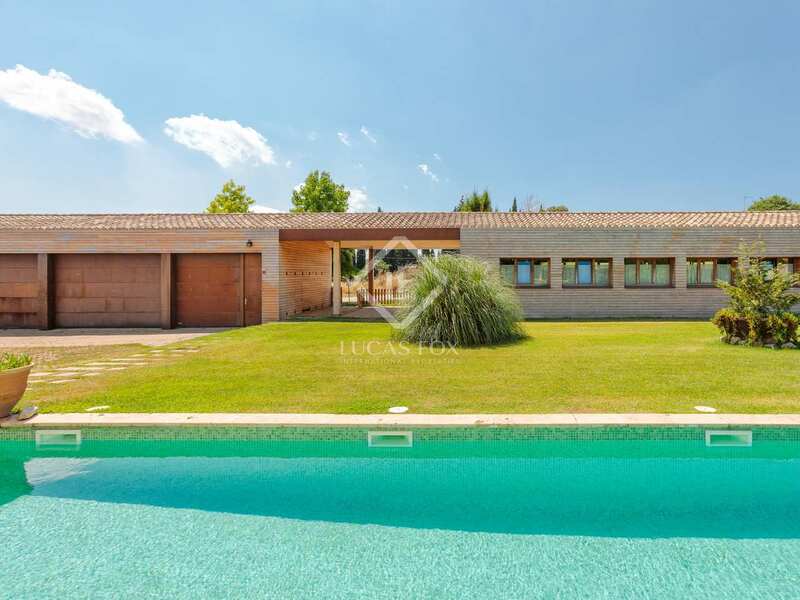 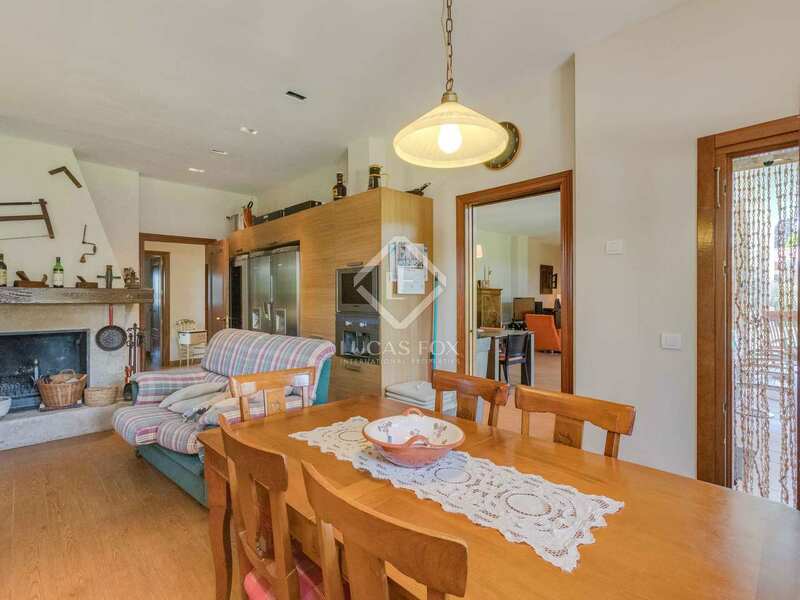 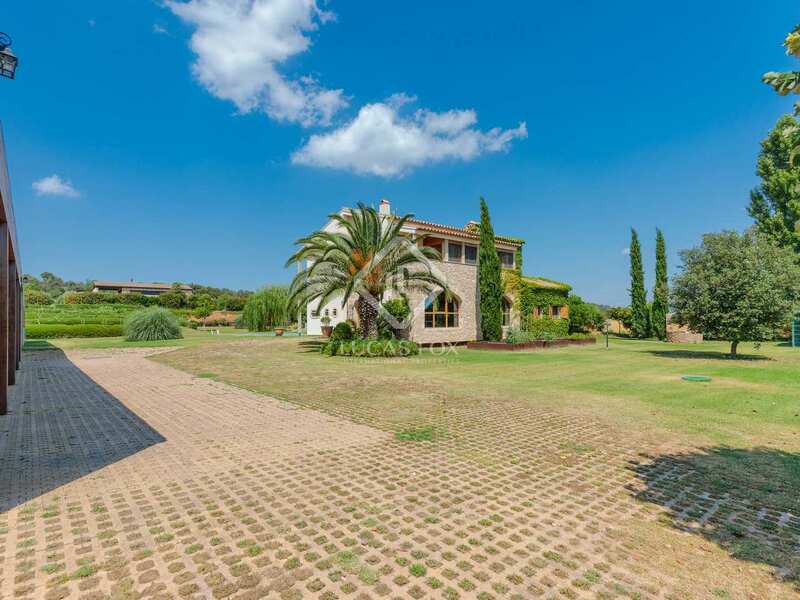 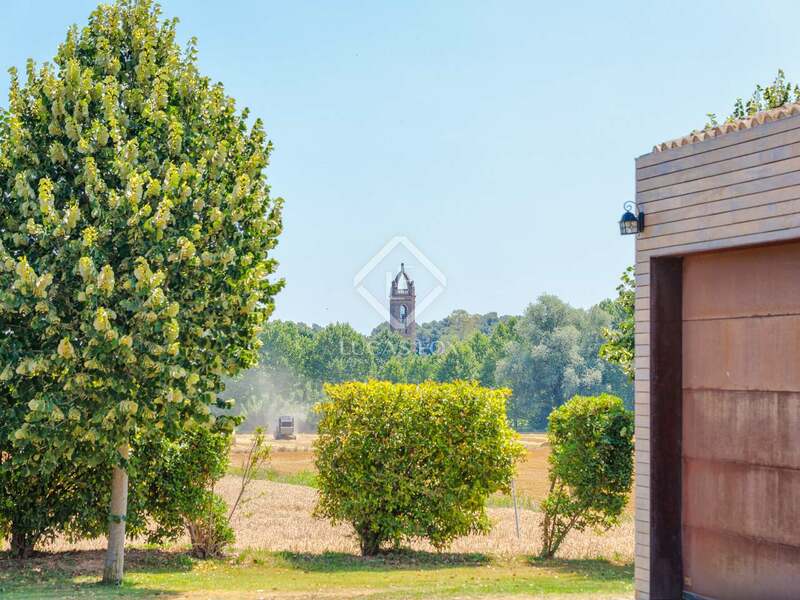 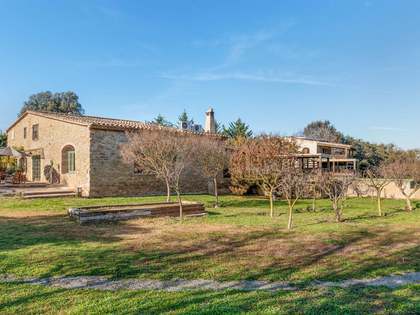 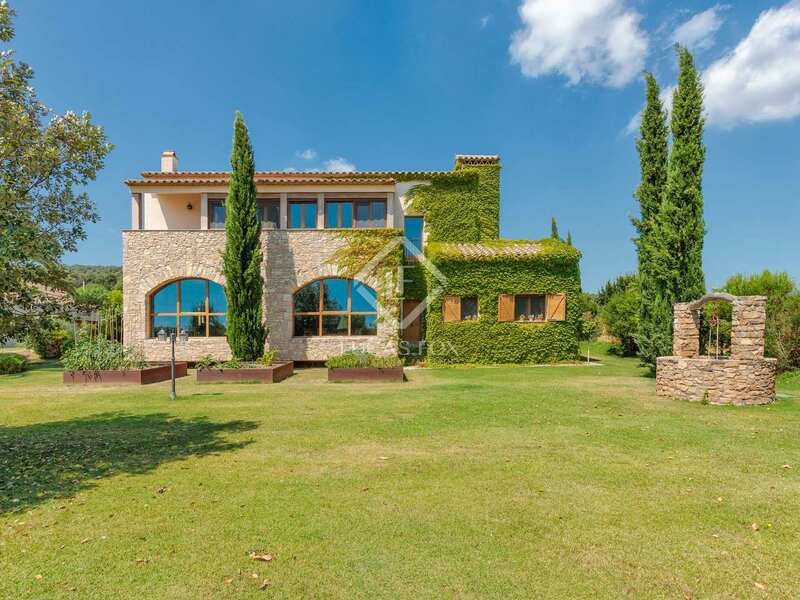 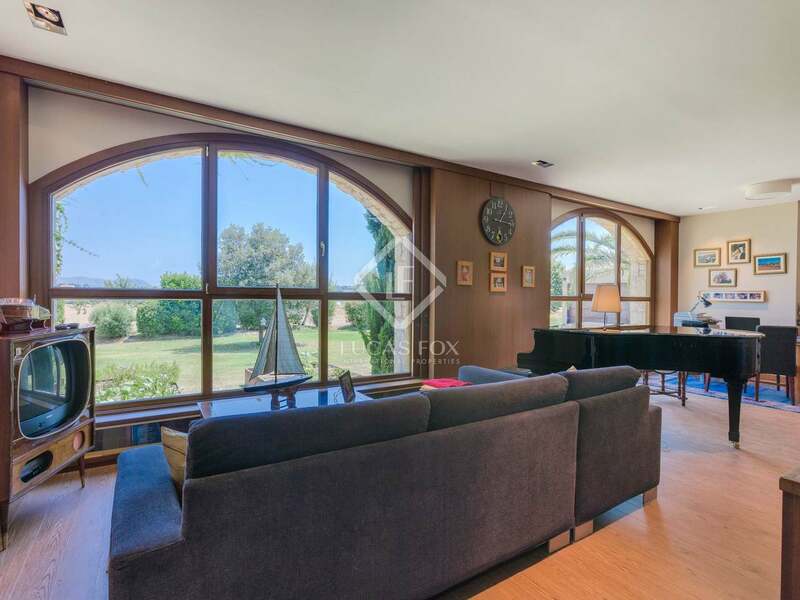 In a small hamlet of just 4 houses with large gardens and complete privacy in the Empordà countryside, we find this wonderful property for sale. 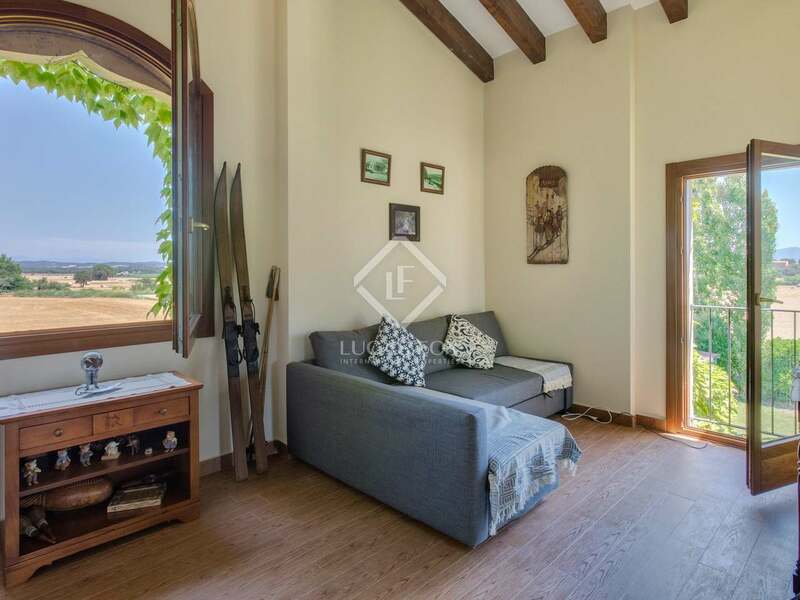 It is less than 2 km from the nearest picturesque village that enjoys a bakery, butcher and restaurant / bar, 17 km from the beach and 25 km from Girona. 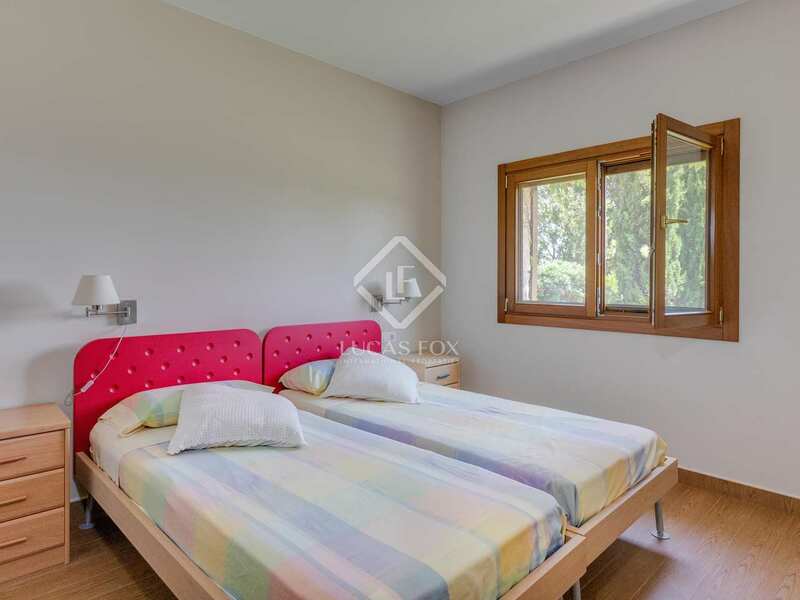 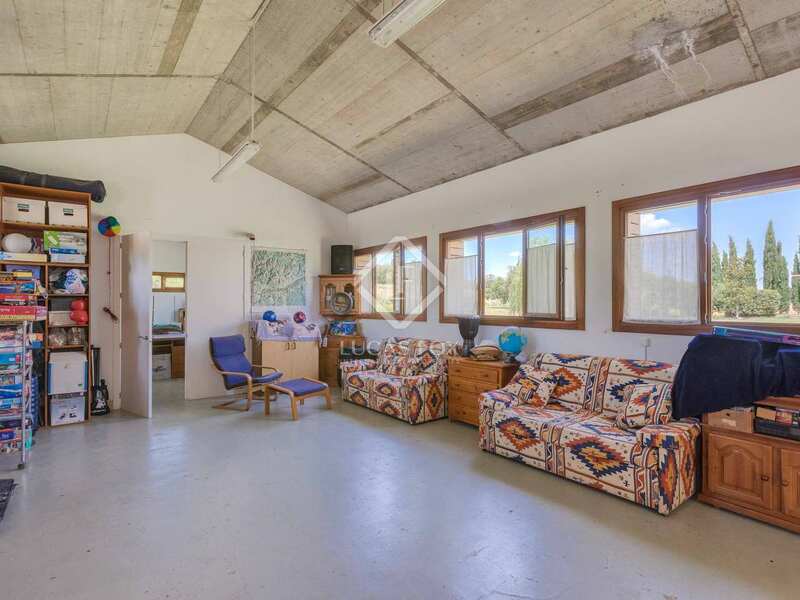 This fantastic property is composed of a 404 m² 2-storey family home and a separate 237 m² building with one floor that is separated in 2 spaces: a huge garage for up to 7 cars and 2 large rooms with a bathroom which are ideal as workshop spaces. 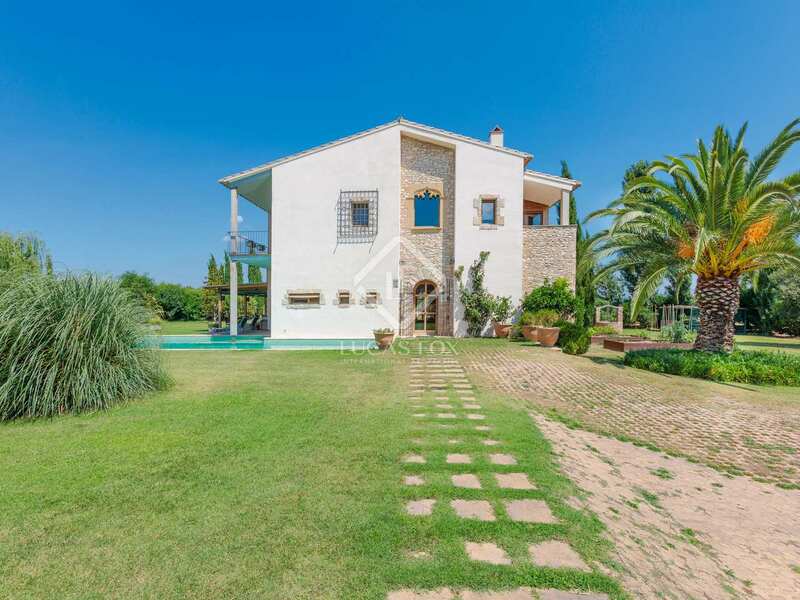 The main house has been beautifully designed and is set in the middle of the plot with a pool, with direct access to the exterior from all sides and stunning views in every direction. 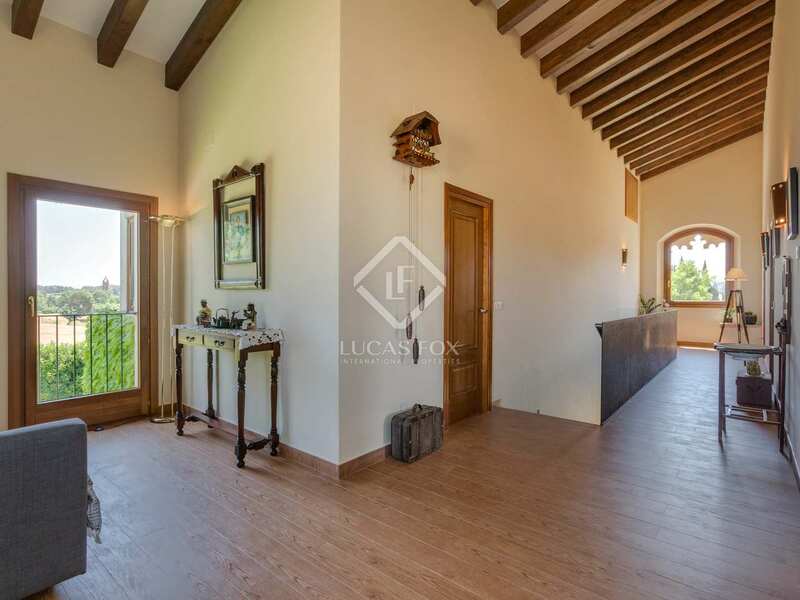 On the ground floor we are welcomed into a large entrance hall with a guest toilet and cloakroom. 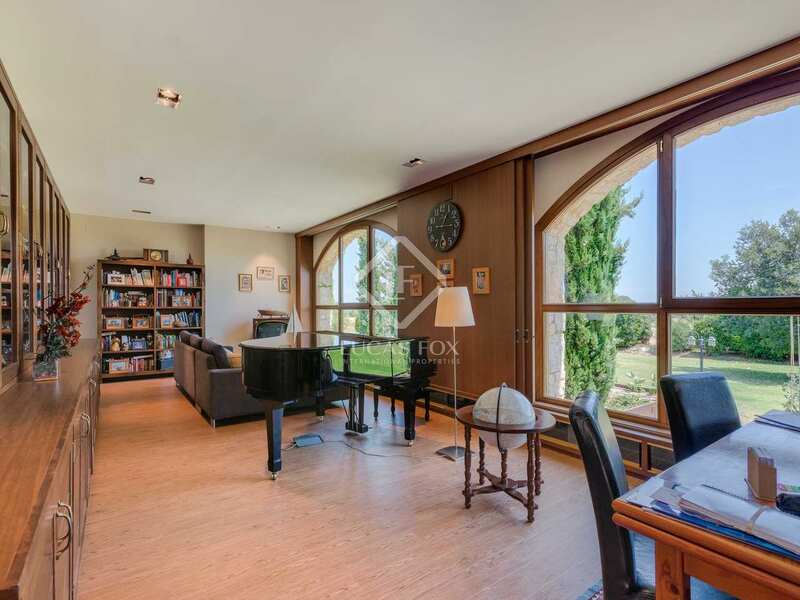 Moving on we discover a spacious library and piano room, a large sitting room and dining area with direct access to the porch and swimming pool which is connected to a good sized country kitchen with a fireplace that also has direct access to the garden. 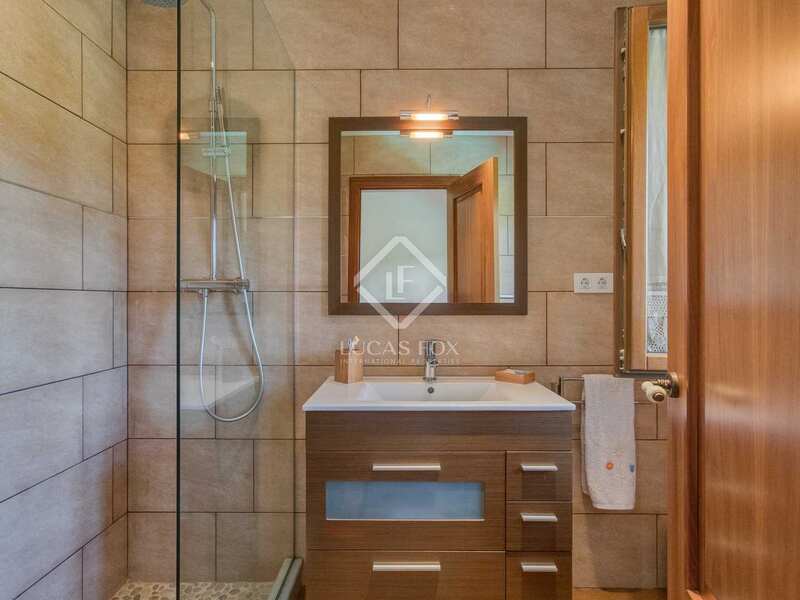 There is also a double bedroom with private bathroom on the ground floor. 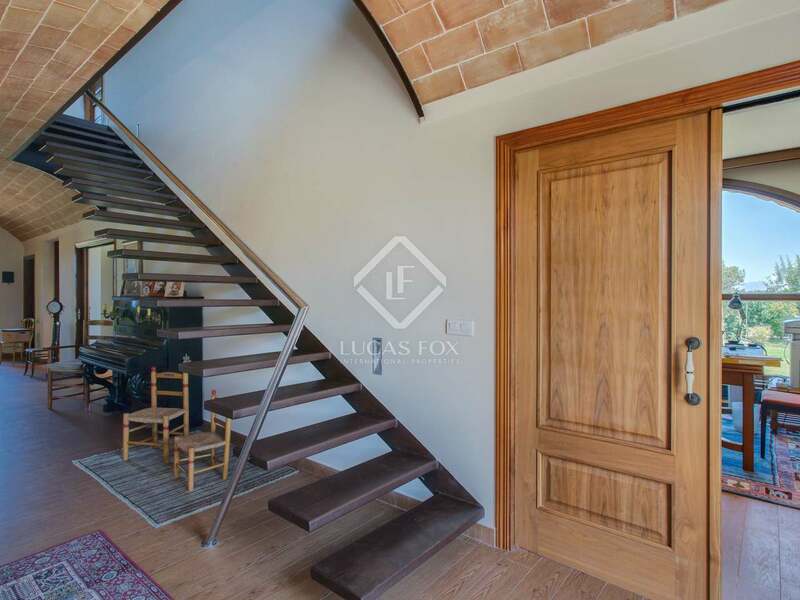 The first floor is composed of a spacious central landing and 5 double bedrooms with private bathrooms. 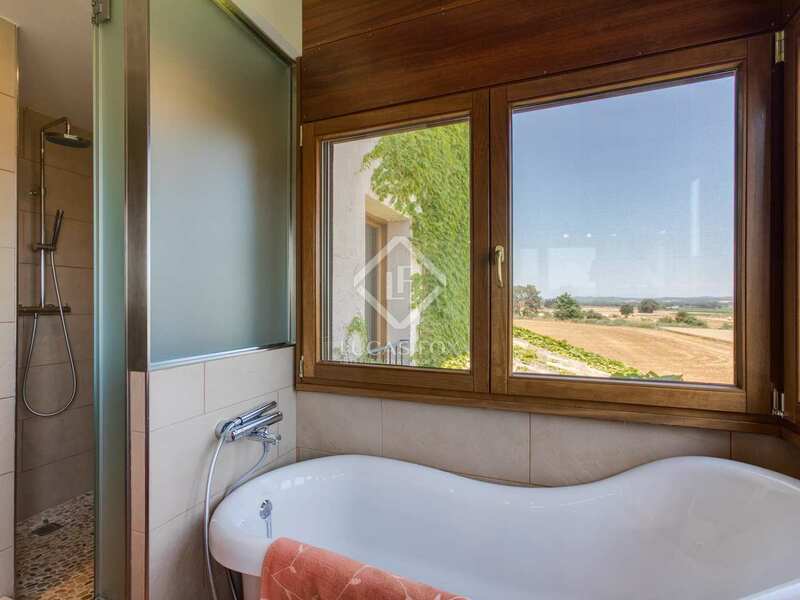 All bedrooms have access to a lovely balcony from which the amazing country views can be admired. 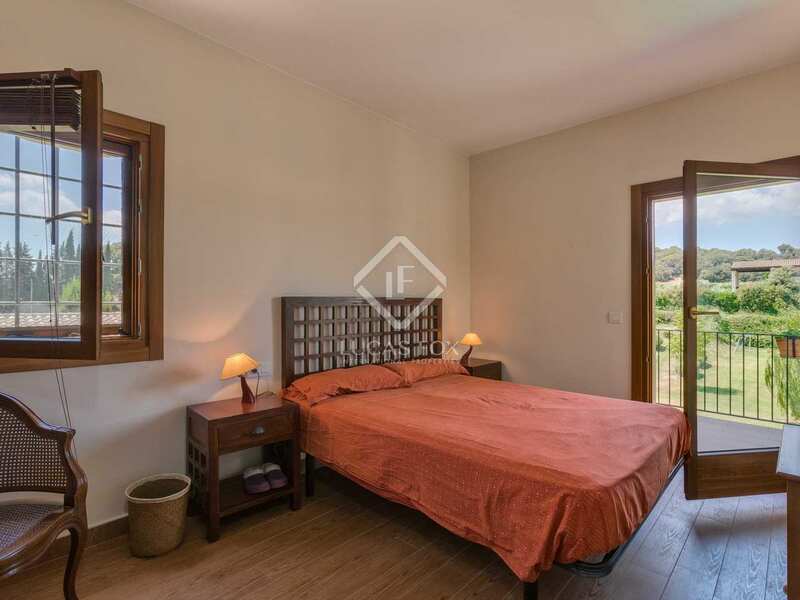 The main house has underfloor heating throughout, double glazing and high quality windows with in-built mosquito nets and shutters. 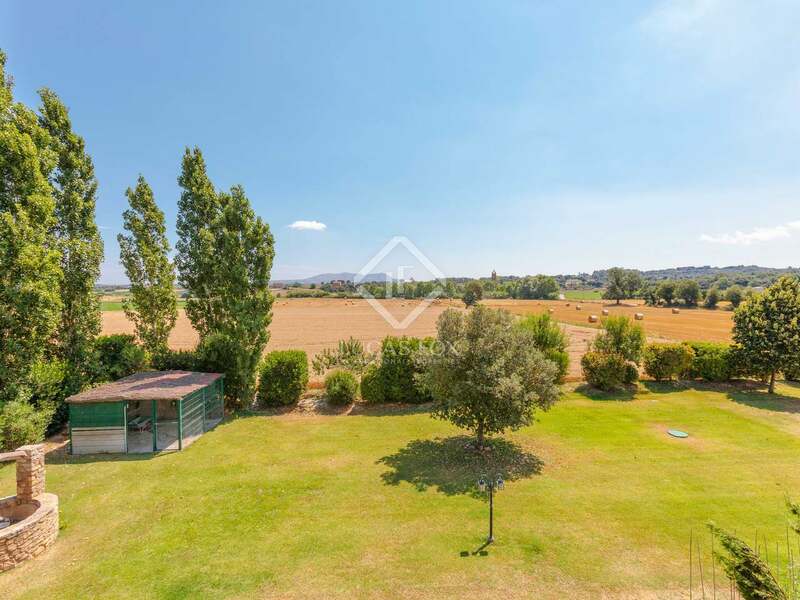 The house has been built to a high standard and is surrounded by an underground draining system that surrounds the foundations and insures the house is completely free of damp. 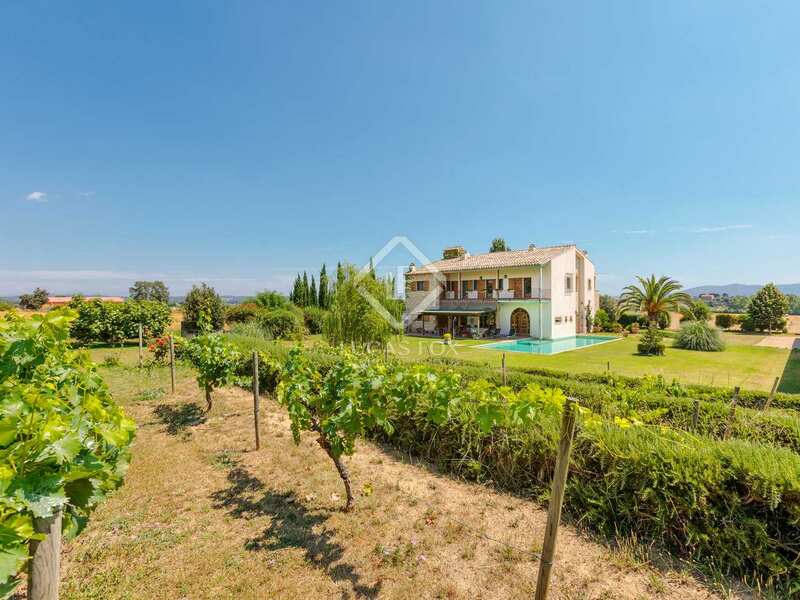 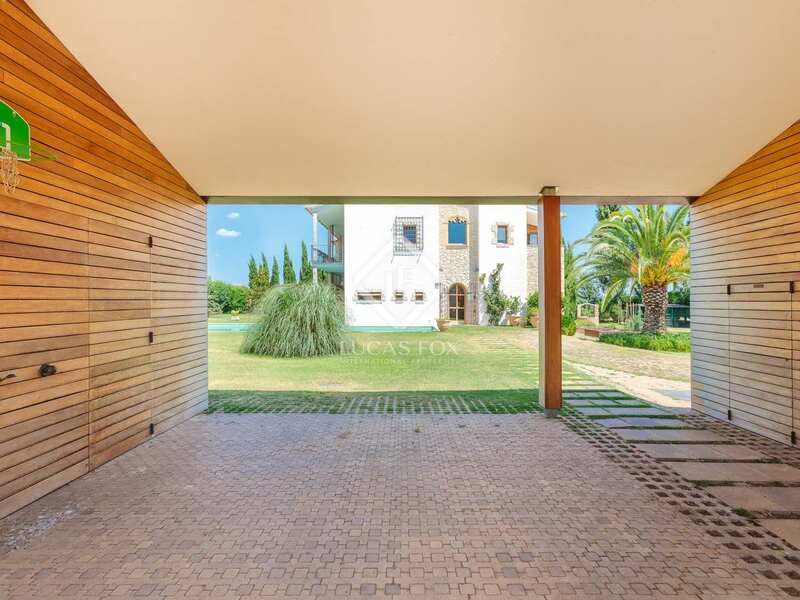 The property has mains water for the house and also a private well for the garden which has automatic irrigation throughout. 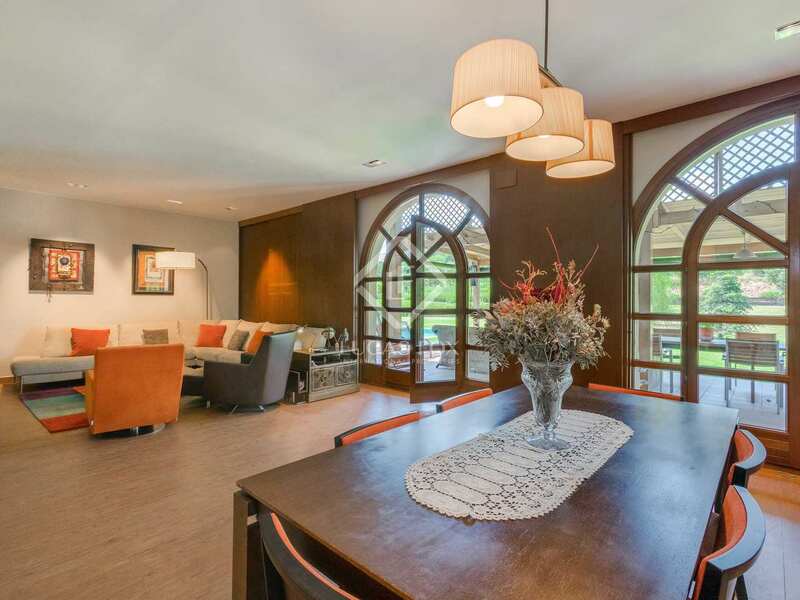 It has been beautifully built with some traditional stone details but also maintaining comfort and a modern style. 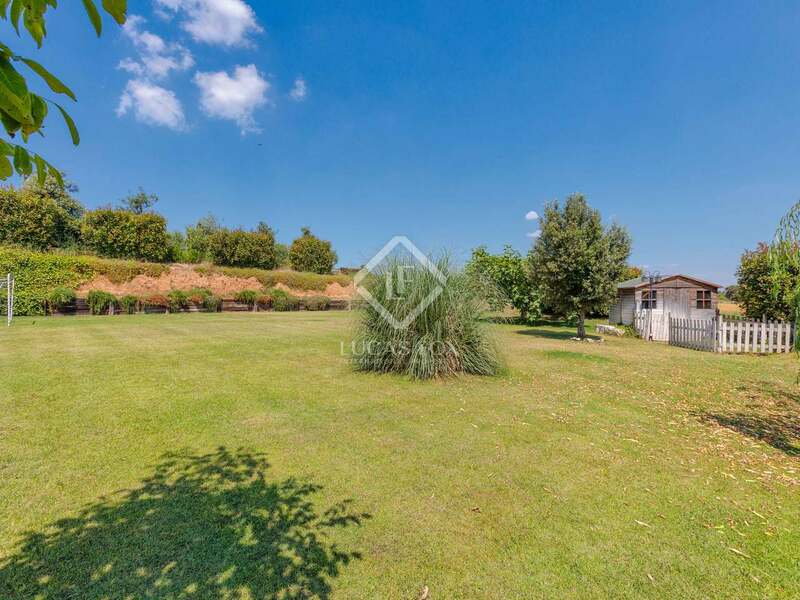 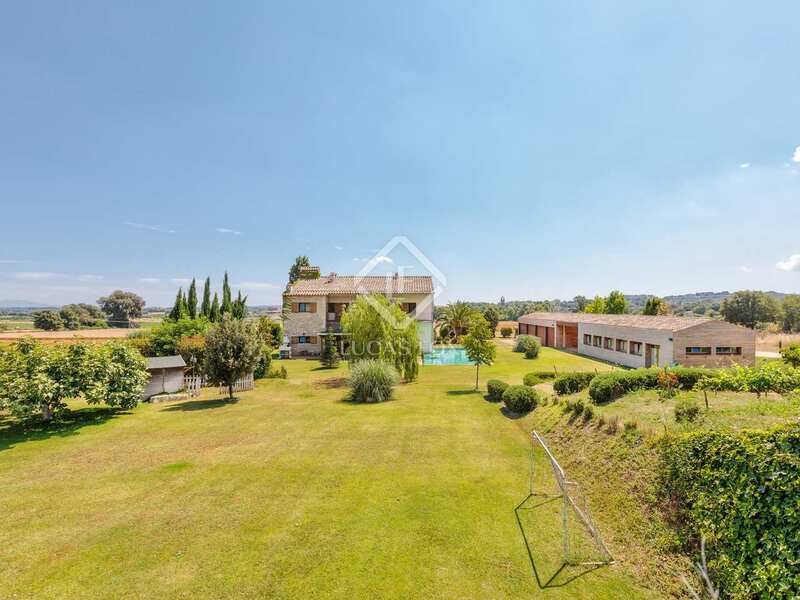 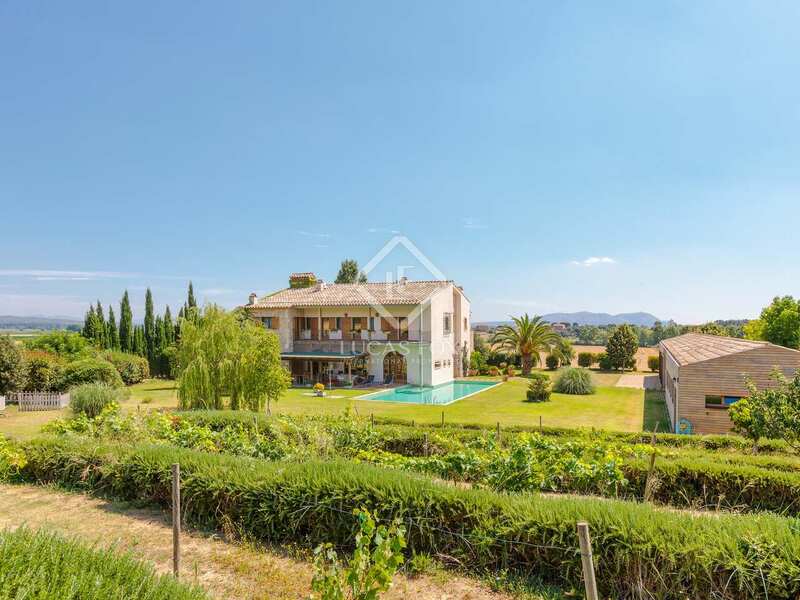 The property is located in a small hamlet of 4 houses with large gardens and complete privacy. 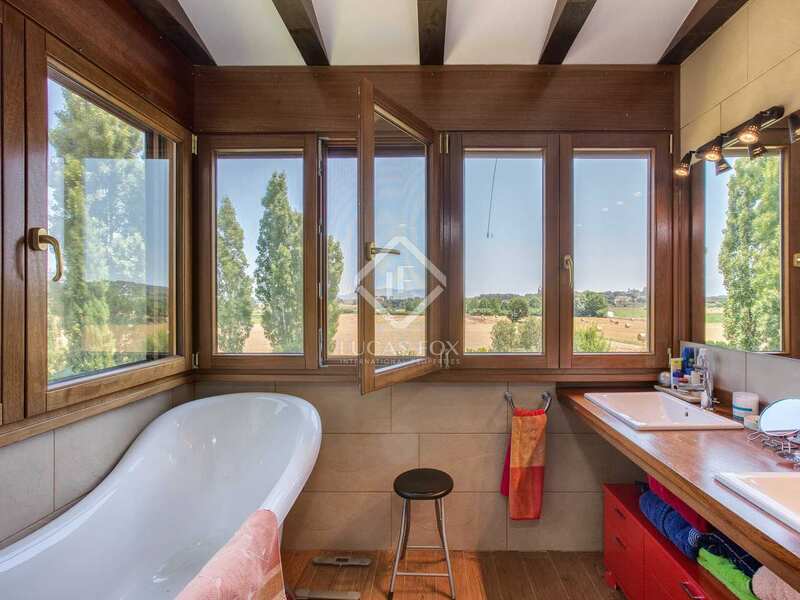 Situated in the heart of the Empordà countryside, less than 2 km from the nearest picturesque village that enjoys a bakery, butcher and restaurant / bar. 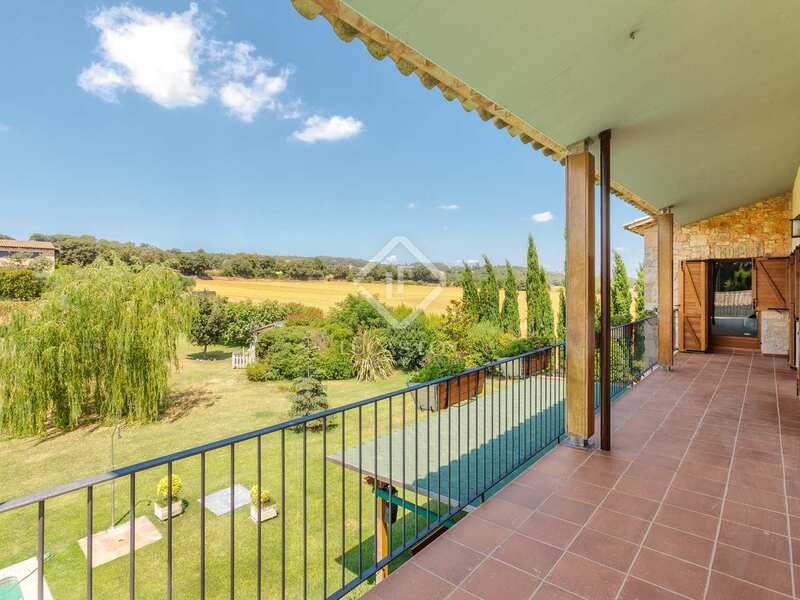 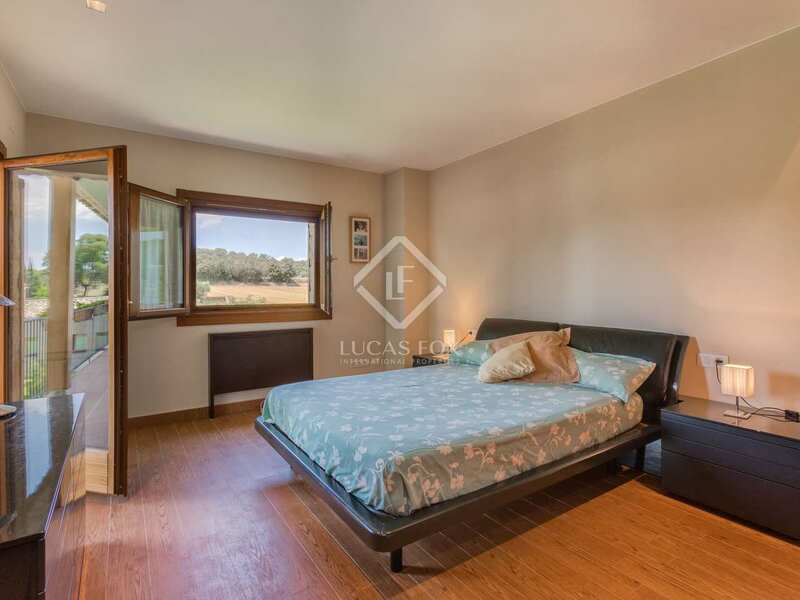 17 km from the beach and 25 km from Girona, this property is located in the heart of picturesque and tranquil countryside but also just a short drive away from many traditional villages.